BlackBerry was known for two things; amazing physical keyboards and unrivalled system security. Nowadays, the company no longer makes phones, instead, it licenses its brand name and software to other manufactures such as TCL, the parent company to Alcatel. However, BlackBerry makes sure that the devices produced are up to Berry standards and that they remain true to their heritage. 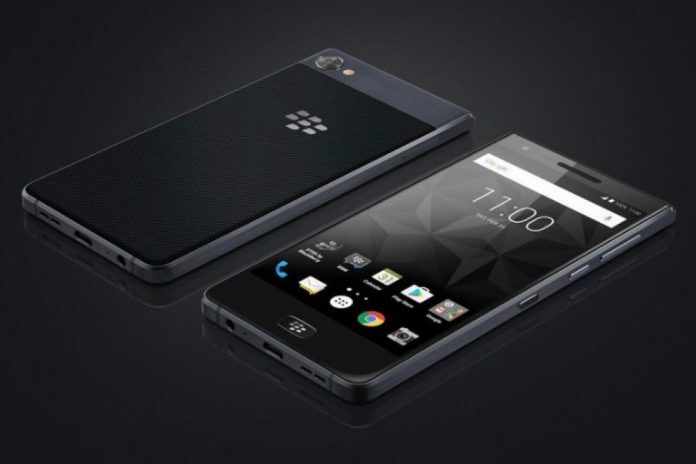 Today, the BlackBerry Motion was announced; it has a 5.5 inch Full HD LCD display. There is no physical keyboard to be seen, users will have to work with an on-screen touch keyboard that is custom-made by BlackBerry. The highlight of the device seems to be the huge battery coming in at 4,000mAh, longevity has been a key signature feature of new BlackBerry devices. Even better, the device comes with a very energy efficient processor , the Snapdragon 625, that will ensure exceptionally long battery life. There’s a 4GB RAM for smooth multitasking and a 32GB internal storage which is a bit small by today’s standards, but then again, this isn’t a flagship device. Fortunately, that fact doesn’t stop it from having IP67 water and dust resistance. The device runs on Android 7.1 Nougat, we would have wished for Oreo, but that might come as a future update. The rear has a single 12MP camera with f/2.0 aperture and the front has an 8MP selfie shooter. There seems to be a front mounted fingerprint sensor under the screen. Around back, the device is covered with carbon fiber, effectively giving it the solid build quality you would expect from a BlackBerry device. There is no feature that explains why the device was called “Motion”, but in case you have liked the other specifications, you can purchase the device for $460. It will be available in Middle East – UAE and Saudi Arabia. Customers from North America will unfortunately not be getting the device unless they import from resellers. Expansion to Africa market is yet to be announced.